The not-for-profit objective: RAPTIM operates on a not-for-profit basis. It is an essential element of its commitment and part of its legacy. Any profits are used to support the operational activities and humanitarian projects of the shareholder. ACTA - Association of Canadian Travel Agents - is the retail travel industry's trade association and it's a measure of the company's standing that Trish McTavish has held elected positions as Vice President, President and Past President of ACTA Ontario. She has also served as a director on the ACTA Canada board. 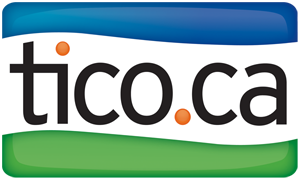 TICO - Travel Industry Council of Ontario - is the administrative authority that has been mandated by the province of Ontario to administer the Travel Industry Act that regulates travel in Ontario. Trish McTavish has been very involved in changes to the Travel Industry Act and has served as Vice Chair of TICO. IATA - International Air Travel Association -- is the prime vehicle for inter-airline cooperation in promoting safe, reliable, secure and economical air services, for the benefit of the world's consumers. Today it has more than 230 members from more than 130 nations, in every part of the globe. McTavish Travel was appointed by IATA in 1973 to represent IATA member carriers. CLIA - Cruise Lines International Association - is the official trade organization of the cruise industry and works in partnership with nearly 19,000 affiliated travel agencies throughout North America to ensure the highest calibre of cruise sales expertise and service for cruise vacationers. UNIGLOBE - McTavish Travel is pleased to be affiliated with Uniglobe Travel. Uniglobe Travel is the world’s largest single brand travel franchise organization with over 850 locations in more than 50 countries around the world. Uniglobe travel agencies specialize in providing highly personalized travel management services.